Hear the endless hiss as it rolls into the starlit abyss, all my dreams reminisce. 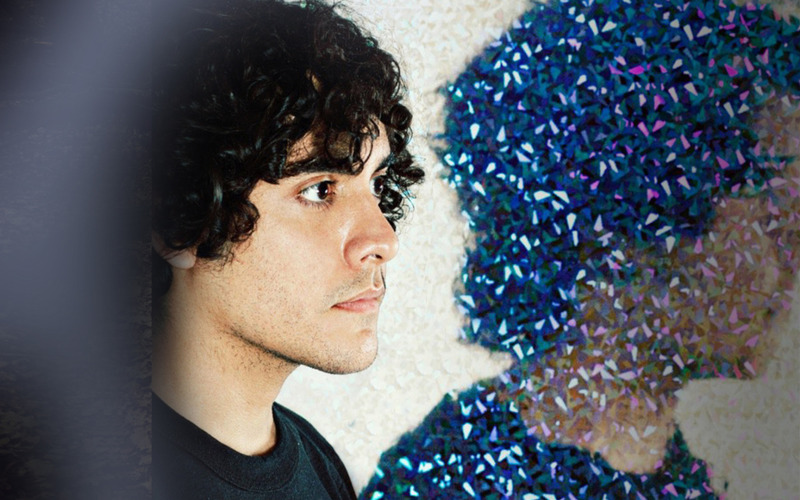 Neon Indian, a band from Denton, Texas, has been pioneering the chillwave movement since 2009. The group is based around singer-songwriter Alan Palomo (son of a former Mexican pop star), who writes and performs all of the music in studio. Live, he is accompanied by Jason Faries on drums and Leanne Macomber on keyboards. Psychic Chasms, the group's 2009 debut LP released on Lefse Records, fared extremely well and was voted the 14th best album of 2009 by Pitchfork Media. The album was re-released for UK audiences in 2010 on Palomo's own Static Tongues label. In late 2011, Neon Indian released their sophomore LP Era Extraña, which translates from Spanish to both "Strage Era" and "She Was Strange." The album was supported with a world tour as well as a television appearance on Late Night With Jimmy Fallon. When Neon Indian tracks first started bubbling up on blogs in spring 2009, there was a collective gasp of “where did this come from? !” The hazy, 80s referencing electropop tracks were playful and fun; a near-perfect crystallization of the electro rock echoing around, and made by a 20-year-old no less! Now an ancient 23, band leader Alan Palomo is back with Neon Indian's sophomore effort, Era Extraña. The album is darker than Neon Indian's debut, taking cues from Boards of Canada's moody atmospherics rather than reveling in summertime innocence, and the result is a more mature and polished album. Most importantly, Paloma's skill for crafting pop melodies are in fine form: he's an electro-pop wizard conjuring up insanely catchy melodies from Nintendo game synths and crunchy guitars. “Polish Girl” expresses regret over words unsaid with the help of a catchy 8-bit synth line and house-style keys that bounce along nostalgically. Palomo shows his pop mastery, launching into an energetic chorus that's better than pounding down shots of espresso. “Hex Girlfriend” sounds like a blippy Weezer for the 21st century, the chugging guitars and power-pop dipped in a bath of buzzing electronics. While Era Extraña is largely a pretty serious album, moments of Palamo's playful debut still come through. “Arcade Blues” leverages a sample from what sounds like a kung fu video game along with unabashedly dancy synths and plenty of 80s influence to give the album a strong finish. Neon Indian has managed to produce an album that retains the dance inducing fun of their debut, but adds more serious emotions to the mix. In short they've done what young bands need to do, grow without losing the thing that made them so exciting in the first place.